Al 'Azifoon is an Arabic “Taht” -- a chamber group specializing in classical and traditional Arabic music. 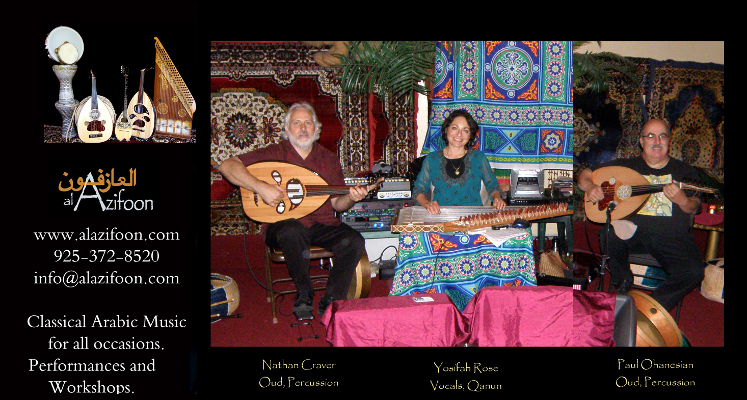 Al ‘Azifoon was founded by Bay Area husband and wife musical partners Nathan Craver and Yosifah Rose Craver in 2005. Nathan and Yosifah Rose are the "heart" of Al ‘Azifoon, and they continue to actively pursue Al ‘Azifoon's musical mission of promoting cross-cultural understanding, respect, and appreciation for Arabic music, dance, and culture through Al ‘Azifoon's musical performances as well as through community outreach concert/lectures, and educational programs in Contra Costa County and other San Francisco Bay Area libraries and schools. Paul Ohanesian has been a core member of Al ‘Azifoon since 2007. Paul is a professional musician who plays Armenian, Turkish, and Arabic style oud as well as playing Middle Eastern percussion. 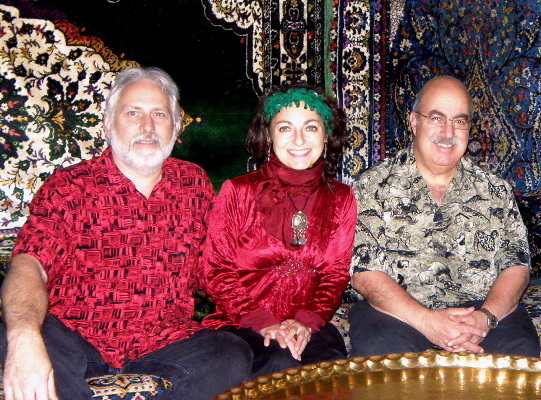 Paul has been a key member of the Bay Area Middle Eastern music scene since the late 1970s. 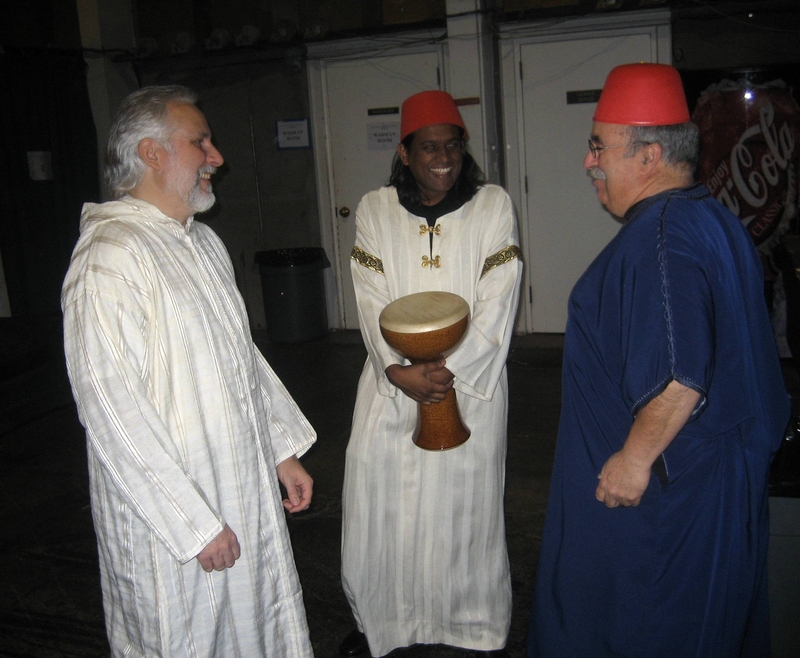 Although Paul travels frequently and also performs with a number of other musical groups, he continues to be a vital core member of Al ‘Azifoon's musical family. In addition to the three core members noted above, Al ‘Azifoon is also supported by a roster of multi-talented individuals who are accomplished professional musicians as well as vital members of the Middle Eastern music community of the Greater Bay Area.